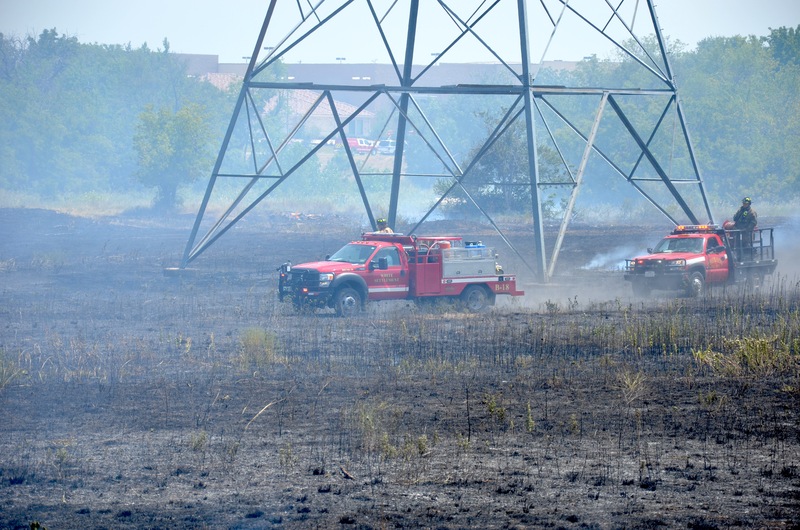 A major grass fire in Benbrook threatened homes and businesses this past weekend as firefighters battled the flames as well as triple digit temperatures. The White Settlement Fire Department along with Aledo and Cresson were called to assist the Benbrook Fire Department in putting out the fire. Homes on the southwestern portion of Benbrook as well as the Benbrook Walmart and other local businesses were covered in heavy smoke from the fire. Fire personnel suggested that the fire may have been sparked by a train traveling on a nearby track.